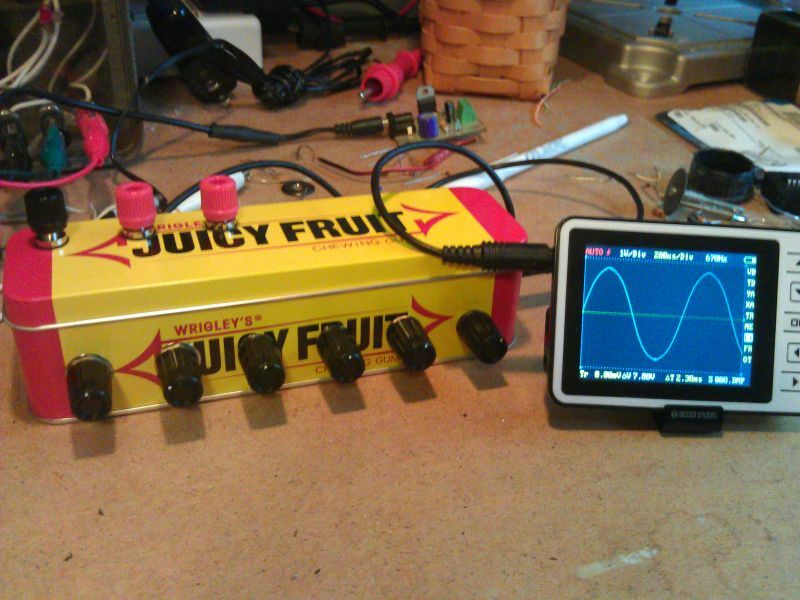 Yes, you too can have your very own function generator in a Juicy Fruit tin! I know, the metalwork on display is totally crooked. I’m better on the design side of things, which isn’t to say I didn’t struggle with the PCB layout for a while. See? 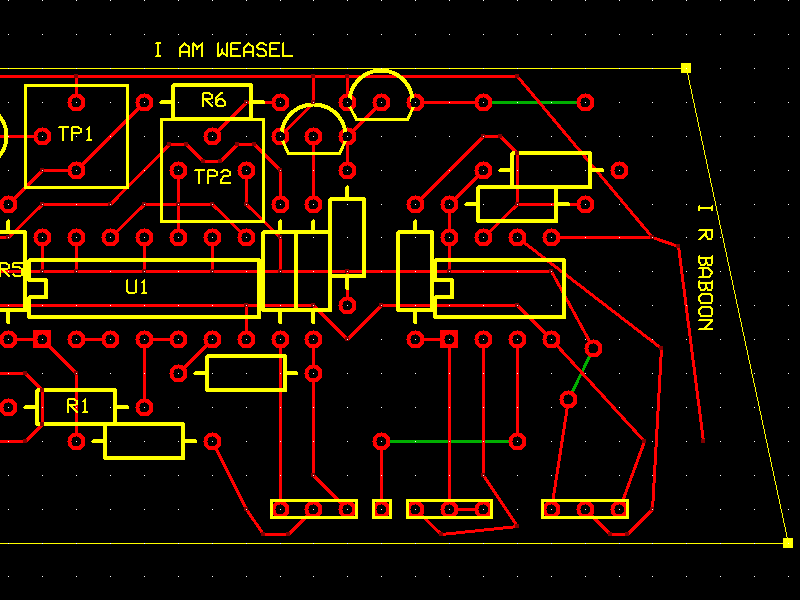 But the thing to take away from my struggles is that I did the PCB layout for you. Head over to the project page, grab your laser printer and ferric chloride, and get started on a cheap and (relatively) simple sine wave oscillator. It’s amazing how working with electronics can bring so much fulfillment, simultaneously with so much aggravation. There was no SMMR yesterday because I was hard at work on my latest project, a function generator. Whenever I get to solder together a circuit board, I go into soldering zen mode. Soldering a few joints, blowing away the smoke, checking my work, and clipping the leads short. That’s my favorite part. Clipping off the excess leads is so satisfying, like putting my stamp of approval on the board. Of course the moment of truth comes later, when you actually turn the thing on. Fun fact: printing your toner transfer pattern on a glossy page of Nuts & Volts produces superior toner transfer PCBs. I am getting these weird glitches at the peaks of the waveform. I’m not sure where they are coming from, but this is my current source of the aggravation I mentioned earlier. I have spent most of today trying to get rid of them, but they are very resilient and are laughing at my feeble attempts at banishing them. Overall, I am still very happy with my new function generator. It works great for what I need, but it still needs a little bit of polishing before it is ready to publish as a project. Check back soon for deets on making your very own ultra-configurable, low(ish) distortion, 10Hz to (almost) 100kHz function generator. From this point forward, on the Loudifier project pages, all two-layer bipolar semiconductors will be referred to as “magnetic quantum ratchets“, because, you know, it’s so much easier than “diode”. Ubuntu Touch: first impressions and SCREENSHOTS!! !